We are constantly learning how to do things better and have benefited greatly from the wisdom and knowledge of others. This is a growing list of links to businesses we admire and to resources that have been useful to us. Please take a look, any comments and further tips welcome! TreeEater Farm and Nursery grows delicious veggies and beautiful trees here on Denman. Many other farms on Denman can be found through the Hornby/Denman Growers & Producers Alliance. Sarah and Simone grow amazing veggies and pigs at Rootdown Farm in Pemberton, BC. Alyssa and David also grow tasty veggies and pigs in Pemberton on Plenty Wild Farms. We admire many growers who learned to farm at UBC Farm. A news article about our apprenticeship at Rootdown in 2013. We love looking through Johnny’s, High Mowing, West Coast Seeds and William Dam‘s shiny shiny catalogues. We also regularly refer to growing information on our suppliers’ sites, particularly Johnny’s. Young Agrarians – An organization supporting farmers. Highlights include a growing resource map on their website, a business mentorship program, and regular networking opportunities. We’ve learned a lot about efficient, profitable, sustainable small scale growing from M. Fortier’s book, The Market Gardener. The Lean Farm – an excellent book about how to make a farming operation more efficient. The author supports his family and multiple employees on a 2 acre farm. Our crop planning system is based on the systems in Crop Planning for Vegetable Growers. We don’t use it yet, but dream of the day we have the time and energy to take advantage of all of the record keeping (read: learning!) power that this COG Pro software offers. Insight here on how New Zealand has coped (and thrived) without agricultural subsidies. I’m going to bang on about my dislike of subsidies, and here is a useful little primer. 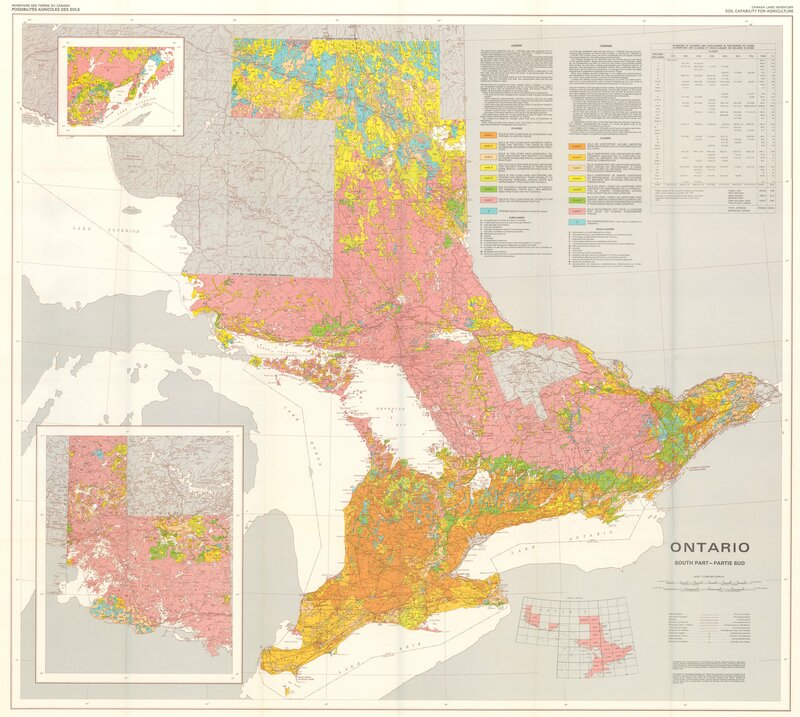 A soil map for the majority of Ontario (sorry, not able to find something comparable to BC, yet). More on soil and tillage from the excellent extension services at Penn State University. Some useful tips and wise words for those considering a startup, from one who has been there.